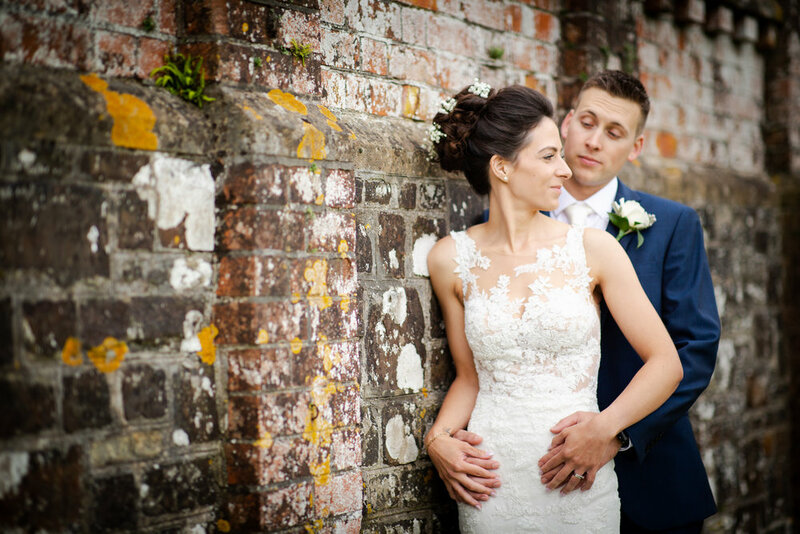 Justine and Paul's wedding at Highbullen Hotel Golf & Country Club in Chittlehamholt, North Devon was a beautiful day which centred around a warm and loving family. With both of their young children, Amelia and George taking this grand day in their stride. Stable Cottage one of four holiday cottages located in Highbullen Hotel Estate is where the day began for the bridal party with hair, make-up and a bit of pampering being done. Justine's Mum and Dad were on hand to help get the children dressed and organise other things. Both children were delightful and so well behaved. Amelia was happy to be colouring in her book in between keeping George entertained and content. She was just so happy to be dressing up like a princess for the day, like her Mummy who looked absolutely radiant in her dress. I didn't have to travel far to catch up with Paul and his best man. They were getting ready in the luxurious Loft Suite located in the Manor House. Once the guys were dressed and ready for action we met outside where I took some pictures with them by the croquet lawn over looking the grounds of the hotel. These two were constantly laughing at or with one an other which makes my job so easy to capture the natural emotions. The ceremony was held in the Palazzo the new part of the venue which is so romantic and stylish based on Tuscan Order of architecture. Amelia and George lead the bridal precession into the ceremony followed by the bridesmaids and Justine and her father. The ceremony was short and sweet but full of love. It's plain for all to see the chemistry between Justine and Paul. After the ceremony I took family and wedding party photos and then it was time for the bride and groom intimate shots. With the weather being perfect, not too sunny but still nice and bright we took a walk around the grounds for the hotel and I captured Justine and Paul being themselves. Walking and talking about the day so far, enjoying each others company and reeling in the wedding day atmosphere. For me this is the part of a wedding that I enjoy the most, when the pressure is off and the bride and groom can relax and the natural emotions shine through. It was a pleasure to document Justine and Paul's wedding. This was a beautiful, family orientated day with love and laughter filling everyone's hearts. Take a look a selection of images from their day below, I'd love to know what you think.